The first squid of the season stirred quite a bit of ruckus in Ventura Harbor this morning. The Ocean Angel III brought in about 20 tons of beautiful little Loligo. However, the thrill quickly subsided when the pumps started rolling out 19 count squid, which means it takes 19 squid to equal one pound. Basically, the squid are too small to bring in a decent price. 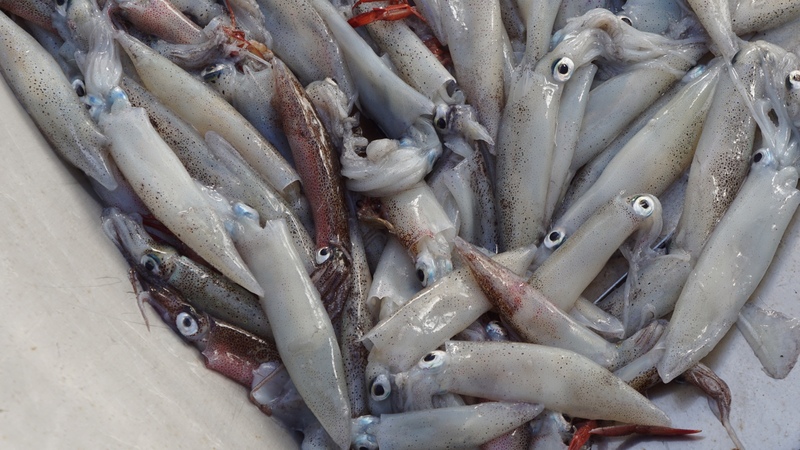 The squid season opened April 1st and typically deliveries start around the middle of May. The big concern this season is that the water temps are all wrong for a productive season. In general, there is a lot of apprehension this year. 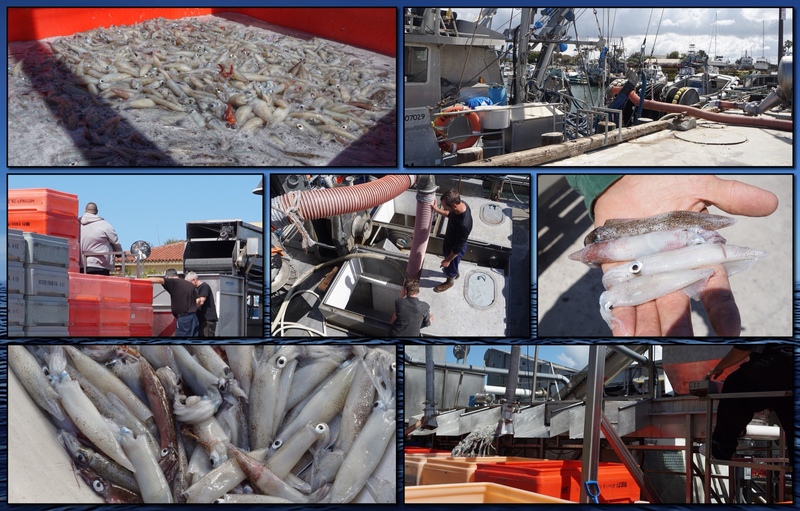 The squid fishery has a recent trend of highly productive seasons, where the quota was easily caught before the end of the year. In fact the first time the quota was ever caught was in 2010 and it’s been easily mopped up every season since. The season still has a long way to go, but it’s nice to see a start to squid seining.